ADJ has launched a new series of moving heads, the XS Series, supplying mobile DJs with three new compact solutions that utilise RGBW colour-mixing, 360⁰ rotation and 10W LEDs to produce multi-beam effects that bring excitement to the dance-floor. The new XS Series from ADJ features a range of compact, affordable, single- and dual-axis moving heads that let users harness their creative side to generate memorable displays for their clients and guests. 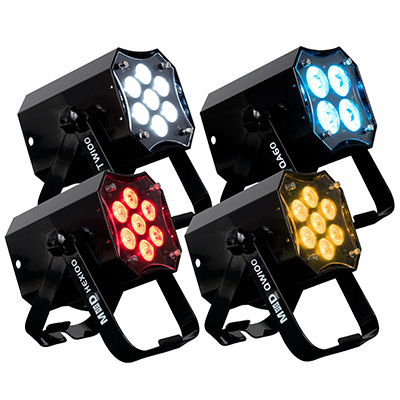 The XS 200, XS 400 and XS 600 are all powered by 10W LEDs, as well as offering a concise 5⁰ beam angle, smooth colour-mixing and 360⁰ rotation, allowing mobile DJs to fill the dance-floor with beam effects in custom hues. 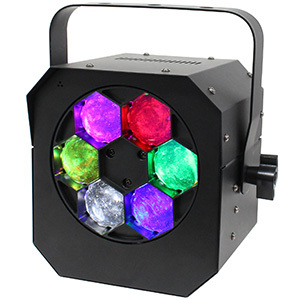 The most compact fixture in the new series is the XS 200, a single-axis moving head fitted with two 10W quad-colour (RGBW) LEDs and nine built-in lightshows, as well as offering continuous tilt rotation that enables users to create widespread displays of quick-moving beams. 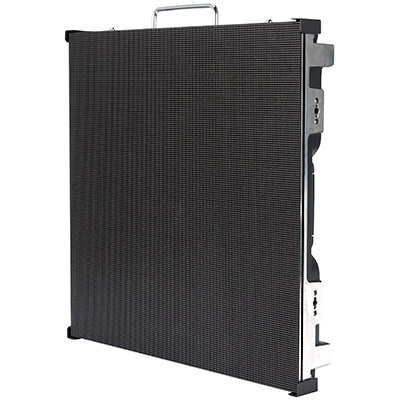 For mobile DJs, the XS 200 is portable thanks to its low weight (4kg) and compact dimensions (123.4 x 100 x 284.5mm), making it well-suited to life on the road. 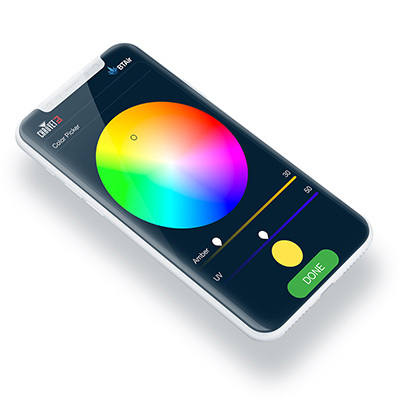 In terms of control, users can get creative using the DMX-Controlled mode (16- or 18-channel), which allows them to adjust the RGBW colour mix for each lens, or go for something simpler using the fixture’s Show and Sound Active modes, which feature a range of pre-programmed lightshows. 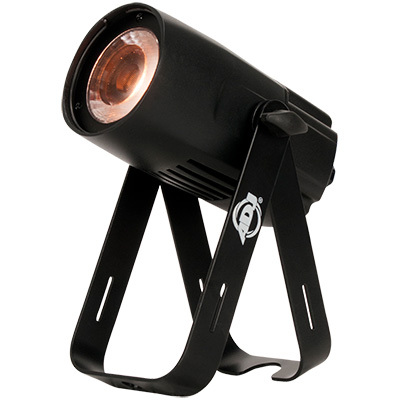 Building on the XS 200, the XS 400 features two lenses instead of one, offering dual-axis movement and double the number of 10W RGBW LEDs to provide bigger displays that mobile DJs can use to bring colour-beam effects to a wider area. 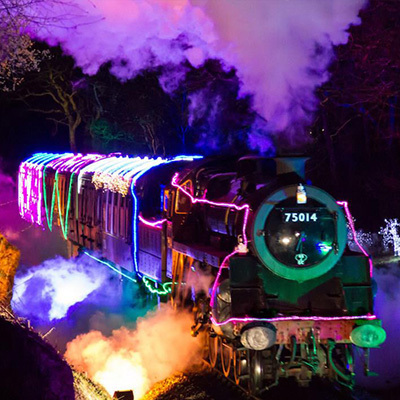 As with the XS 200, ADJ has ensured that the XS 400 provides a flexible DMX-Controlled mode that lets users control individual LEDs to create their own colour mixes, while Sound Active and Show modes offer a number of energetic built-in shows. Despite offering double the lenses and double the LEDs, the XS 400 adds just 2kg in weight, making it a viable option for taking out on the road. 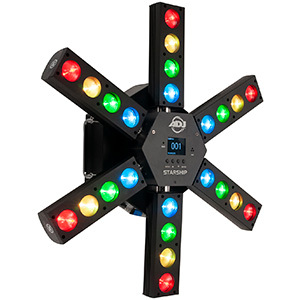 The most powerful of the new XS Series fixtures, the XS 600 is fitted with two rotating heads, each utilising three 10W LEDs, allowing for a hex-beam lightshow that’s ideal for bringing colour and movement to the party. 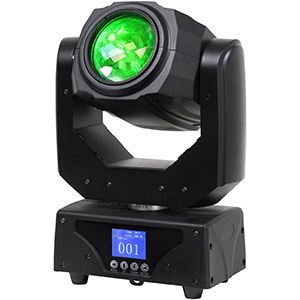 As well as offering more lenses, the XS 600 provides continuous rotation of both its head and yoke, spinning in both directions to generate a varied display of fast-moving beams. 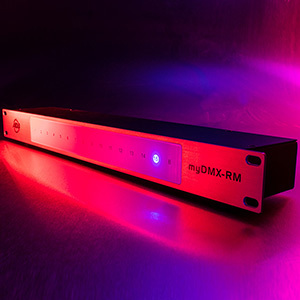 While DMX-Controlled, Sound Active and Show modes ensure flexibility in control, the XS 600 can also be pixel-mapped, allowing mobile DJs to create colour-chase effects across multiple units for an eye-catching visual display. 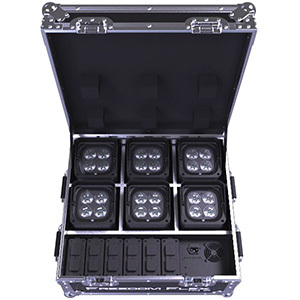 The XS 600 remains compact (180.2 x 195.6 x 317.7mm) and lightweight (3kg), making it well-suited to mobile lighting rigs and installs in smaller venues. 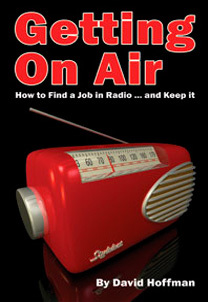 Like many of ADJ’s new products, the fixtures in the XS Series are all compatible with the separately sold UC IR wireless controller and the Airstream IR wireless control app, the latter of which can be downloaded for free from the Apple App Store and allows mobile DJs to control their ADJ effects from the screen of their iOS device. The XS Series will be available in the UK from mid-February.